Jeffrey: Growing up in South Texas, my love affair with Makeup started early. Having spent my mornings watching my mom spray her “Dallas Hair-Helmet”, and separate each of her lashes with a safety pin; I quickly became intrigued by beauty rituals. It wasn’t until much later (22 years old), that I moved to LA to pursue a profession in the field; and since then, I have lived all over the US and have made being a Makeup Artist a true career. I have explored all the different avenues the beauty world can offer. I have worked in product development, merchandising, marketing, artistry development and education, and I have also been a studio session makeup artist for brands like Jeremy Scott, Away Luggage, and Sephora. I have worked with celebrities, political figures, brand founders, and have been published by magazines like i-D, Virtuogenix, and Vulkan. I am currently based in LA and I am a Beauty Director for Sephora. What’s one beauty stop you would recommend for anyone traveling to Morocco to visit? Jeffrey: I would STRONGLY recommend swinging by a pharmacy while you are there. I have to say that their pharmacies are unlike any I have been accustomed to. The walls were lined with jars full of products: herbs, powders, tinctures, oils, and salves. From the moment you walk in the door, you are greeted by the clerk, who offers you a run-down of ALL of the different remedies they carry and how they can further benefit you. He offered our group several beauty products as well, including treatments for rough skin, cosmetics like eyeliner and lipsticks, fragrances, and wellness wonders. I was able to pick up an eczema for my mother’s hands as well as a balm to help fight dark circles under my eyes. There was something there for everyone. I highly recommend it! What beauty product did you become obsessed with in Morocco or afterwards? 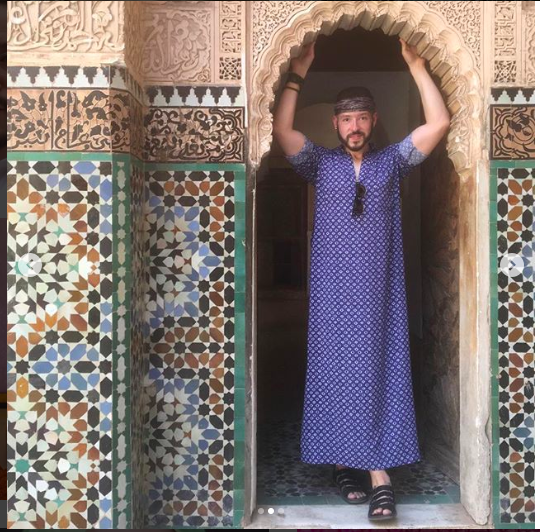 Jeffrey: While shopping in the souk I was able to stop by a beauty house, specializing in beauty imports as well as traditional Moroccan must-haves. The shop owner was very kind and demonstrated how to use some of the goods they carried. One product that I was particularly intrigued by was as clay pot filled with a beautiful vermillion lip stain. Activated with water and a brush, the tint uses crushed poppies to create a gorgeous red wash that you can build on the lip! The pigment sinks deeply into the tissue of the lip giving a natural flush that looks as if it is a part of you; and best yet, it lasts several hours on the lip before softly fading away! I’m obsessed. What did you wish you bought more off while in Morocco? Jeffrey: I was most intrigued by all of the Ayurvedic Self-Cures carried at the pharmacy and I definitely wished I would have picked up more Neem seed while there. I have since done further research into this powerful plant, and it seems to be a cure-all for a ton of things including: sinus infections and colds during the winter months, waking you up from any fatigue, curing some skin conditions, and its oil can be used in soaps and washes. Research has even been done to show that it can slow down some immune deficiency disorders and encourages rapid healing! So, I am curious what other beauty benefits this ingredient can bring, too bad I only grabbed one sachet of seeds. After traveling to Morocco – what is beauty to you? Jeffrey: Beauty, to me, has always been about what makes us unique; and, as a makeup artist, I feel it is my job to find those special traits and show the world how beautiful they can be. The differences between us are what make us special, and Morocco was so vastly different from anywhere else I have ever been. Naturally, I was forever changed. Between the bright colors of the culture, the peace that the desert brings, and the Moroccan peoples’ overall appreciation for fellow mankind, it’s impossible to leave that place without being inspired. My trip to Marrakech was a reminder that God lies in the connection between us, because for us to be different is that only way we can learn from each other. Jeffrey: For now, I plan to start writing about my latest trip to Japan! But my next trip will definitely be to the UK. I have been wanting to visit London for some time now, and I am curious to see what beauty trends exist over there, and just how much they differ from American standards. Thank you Jeffrey for sharing your reflections with us! Now, if you’re looking to bring a little of Morocco to your beauty regimen or bathroom counter without traveling far take a look below. Get ready for major travel inspiration and spice market vibes! Jose Maran Argan Oil. The classic Sephora staple that introduced the magic of argan oil to the masses in the Western hemisphere. If you’re looking for an all-encompassing beauty elixir for face, body & hair. Start off with this top notch product. Jeffery raves about Kora Organics Turmeric Brightening & Exfoliating Mask! Made with turmeric, a spice staple in Morocco, this mask gives your skin a deep exfoliation and after a bit of a tingling sensation leaves your skin clean and brightened. Lastly but certainly not least, Jeffrey was inspired by Fenty Beauty’s Moroccan Spice collection which features some warm terracotta neutrals while not forgetting the bold pops of color visible across Morocco. 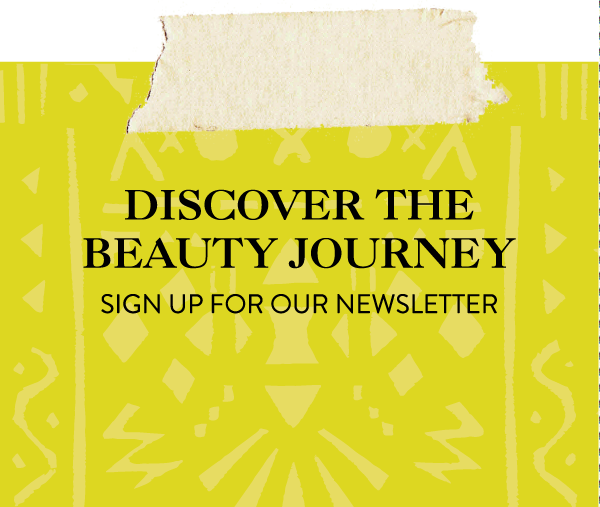 Did you know we’re down to our last few available spots on our May Morocco Beauty Journey?! Spots are filling up quick! If you’re on the fence about joining us, just send us a comment or send us a message on Instagram (@atwbeauty) to get signed up. Or if payment is a concern, we can figure out a payment plan that works for you!